Devil’s Due Publishing and comiXology announce that comiXology will be distributing Devil’s Due comic book titles to the iPhone and iPod touch. Comic books published by Devil’s Due include the continuation of the TV show Jericho, plus popular titles like Hack/Slash, Voltron, and Spartacus: Blood and Sand, based on the upcoming Starz TV show Spartacus: Blood and Sand. New York (PRWEB) September 9, 2009 — Devil’s Due Publishing and comiXology announce that comiXology will be distributing Devil’s Due comic book titles to the iPhone and iPod touch. Comic books published by Devil’s Due include the continuation of the TV show Jericho, plus popular titles like Hack/Slash, Voltron, and Spartacus: Blood and Sand, based on the upcoming Starz TV show Spartacus: Blood and Sand. The soon to be released Merch Girl will also include exclusive music by co-creator, rapper MURS. The Guided View feature of Comics by comiXology keeps the entire page of a comic intact, unlike other solutions where the page is cut into individual pictures the user browses like a photo application. The app’s retailer locator will enable customers to contact local retailers from within the app itself to order the print edition of Devil’s Due Publishing’s comics. Fans of Jericho reach far beyond the local comic store, and that property, along with Voltron and Spartacus make great introductions to comics. They’ll look great in our Guided View on the iPhone. Comics on the iPhone are allowing us to reach millions of potential customers who have never set foot in a comic book store, and it’s instantaneous. It’s really going to expand the comic reading audience. “I’m very excited to be able to offer the massive library of Devil’s Due titles through comiXology’s online store,” said Josh Blaylock, President of Devil’s Due Publishing. “Comics on the iPhone are allowing us to reach millions of potential customers who have never set foot in a comic book store, and it’s instantaneous. It’s really going to expand the comic reading audience.” The Comics by comiXology App is available, including over 30 free comics, for $0.99 from the App Store. Information on Devil’s Due Publishing comic books can be found at www.devilsdue.net. Since 2007, comiXology has been exposing more people to the world of comics through comiXology.com and related applications. 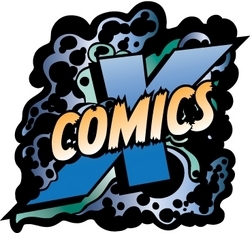 comiXology.com, comic book retailer tools, iPhone and Blackberry apps and digital comics are all connected through the comiXology platform. For more information, visit www.comixology.com.